Explores artistic work with brain synchronicity and electroencephalogram (EEG) interaction, and telemetrics among other things. Reference this essay: Drinkall, Jacquelene. “All That Is Solid: Speculative, Quantum, and Cognitive Aesthetics of Telepathy and Telekinesis.” In Leonardo Electronic Almanac22, no. 1, edited by Lanfranco Aceti, Paul Thomas, and Edward Colless. Cambridge, MA: LEA / MIT Press, 2017. This paper explores the work of Marina Abramović, Usman Haque, and Gianni Motti, and their artistic work with telemetric sensors, telecommunications, telepathy, and telekinesis at the art–science interface. They each work with mass participation using a range of tele-media, and with analogies to quantum particle intra-action and action at a distance. Complimentary to the critical philosophies of speculative and cognitive materialisms and immaterial labor, the aesthetics of these artists are set in dialogue with analogous poetics and politics of telepathy and action at a distance. Abramović’s exhibition Seven Easy Pieces could be interpreted as a form of ‘collaborative competition’ with quantum physicist Richard Feynman’s popular book, Six Easy Pieces. Abramović’s artistic interest in telepathy and telekinesis is accompanied by strong interest in many other disciplines, including science. Abramović idolizes Nikola Tesla and is fascinated by his observation that everything has a unique frequency. She has discussed thought consciousness, telepathy, and quantum physics with Antonio Damasio,  and she has expressed the wish to collaborate with scientists to explore vibratory molecular dematerialization, teleportation, and telekinetics in a publication exploring art, science, spirituality, and economics. Quantum physicists have been harnessing and developing quantum teleportation and telekinesis—albeit with only the smallest atomic particles—for many years now, and could collaborate on speculative art–science projects of the kind suggested by Abramović. In collaboration with neuroscientist Suzanne Dikker and interactive media artist Matthias Oostrik, Abramović has also developed an artwork called Measuring the Magic of Mutual Gaze that explores brain synchrony using an Emotiv neuroheadset. Thanks to her global community of Kickstarter collaborators, she now has a related interactive brain device that is both telemetric and kinetic. Installed in the science chamber of her new Marina Abramović Institute (MAI), this interactive device, called a Compatibility Racer, was developed in collaboration with Dikker and Oostrick, along with a team of others. Figure 1. Measuring the Magic of Mutual Gaze, Marina Abramović, Suzanne Dikker, Matthias Oostrik, and participants of the Watermill Art & Science: Insights into Consciousness Workshop, Garage Center for Contemporary Culture, Moscow, 2011. Photo by Maxim Lubimov, Garage Museum of Contemporary Art. © Marina Abramović, 2016. Used with permission. Haque explores the telepathic nature of today’s urbanized cities, in which telecommunications, smart technologies, telemetric media, and even tiny mobile sensors of ‘smart dust’ permeate every aspect of architecture. There are fantastical promises of awe and freedom of telepathy in contemporary telecommunications, telemetric and smart-dust-sensor technology, and urban-sensor connectivity. Intelligent communication ecologies consist of clouds and oceans. The transcendental poetics of machines that anticipate human needs and commands are celebrated in Jennifer Gabrys’ text Telepathically Urban, which explores sensor architectures and mobile smart-dust, extending early-twentieth-century radio, electromagnetic transmission technologies, and the long history of utopian futurist aesthetics. Smart-dust can be linked to a telepathic understanding of the nineteenth-century interest in atomized ether and atomic dematerialization, as well as to the future development of tiny neurobiological sensors of neural dust. The high ambience of smart sensors, accompanied by florid promises of telepathy, relates to the invention and reinvention of telecommunications as it is accompanied by the invention and reinvention of telepathy. The history of communications shows a strong rivalry between spiritualism and radio in the effort to extract signals from the air. Haque’s conception of telecommunications as a drift of mote-like sensors points to the analogy of telepathic smart dust in the ‘crowd contagion’ theories of Gustave Le Bon and Marcel Mauss, who are recognized theorists of telepathy and telekinesis within sociology. Figure 2. 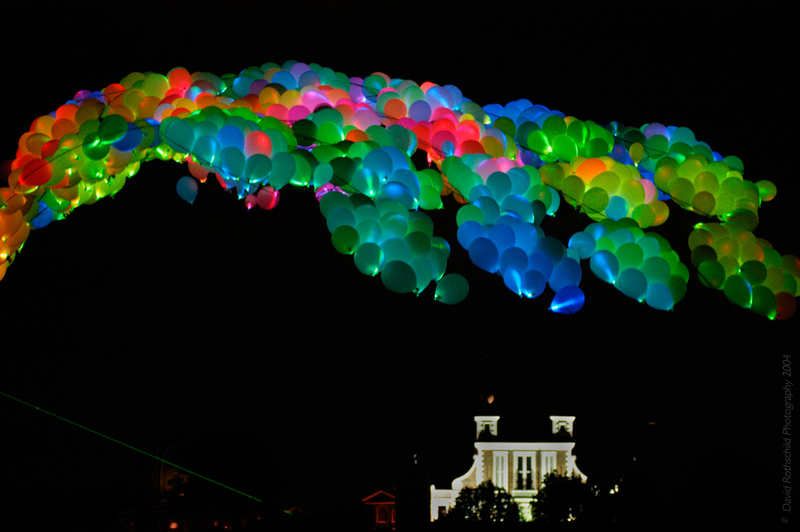 Sky Ear, Usman Haque, a floating glowing cloud of extra-large helium balloons, embedded with mobile phones, listens out for electromagnetic waves in the sky, at NNM in London, United Kingdom, 2004. © Haque Design + Research, 2016. Used with permission. Motti’s work "Higgs" à la recherche de l'anti-Motti, CERN, Geneva maps the path of quantum-particle action onto human experience, using performance and video cameras to compare the artist with an atom by walking the 27-kilometer-long Large Hadron Collider (LHC). Atoms lap the LHC 11,000 times per second, but in his performance, Motti took six hours at a constant five kilometers per hour, along with a cameraman. The long film depicts a lost sense of time, an anthropomorphized atom in an uncanny relativity. 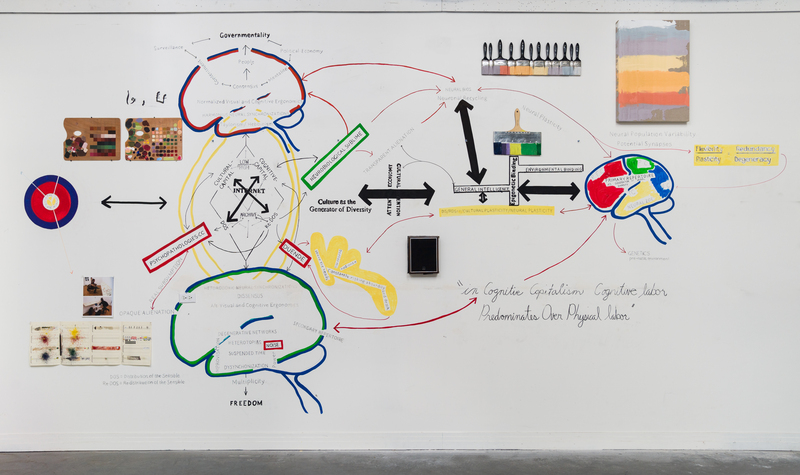 In another artwork called Psy Room, Motti worked with post-Lacanian, psychoanalytic, ‘transferential’ telepathy in a Colombian gallery, where gallery viewers discussed their problems with Motti. After Motti and the media realized that visitors were all complaining about the president, the psychoanalytic artwork morphed into a media event, a kind of passive and telepathic protest that threatened to destabilize the president of Columbia from outside of his palace, using the media-modulated telekinetic powers of thought consciousness aligned toward popular revolution. Motti’s creative laboring is aligned with a Deleuzian molecular aesthetic that understands that art, performance, and political events involve capturing forces invisible to the human eye, as well as with a Simondonian aesthetic that recognizes the ‘dividual’ in processes of collective individualization. In "Higgs" à la recherche de l'anti-Motti, CERN, Motti replaces a few tiny particles with the massive swarm of particles embodied by his own body within the LHC. In Psy Room, individual psychological surveys morph into a swarm of democratic protest, individuating a crowd. For Motti to walk the LHC, it must be turned off, as a single energized proton passing through the body can injure and even kill. Motti’s performance is ‘telepathological’ in that it is at a distance (‘tele’) to the pathology of killing the artist or, at least, making him very sick. The word ‘telepathology’ already exists as a medical term for the digitized study of disease at the molecular level. Microscopic telepathology enables the invisible to be seen, and the immaterial nature of materiality to be observed at the molecular level. Perceiving at the quantum-nano level through the Atomic Force Microscope (AFM)—beyond the scope of the human eye and optical microscopes (including those of telepathology)—quantum physics has shown us that there are also empathetic, telepathic, telekinetic, and ‘spooky’ events happening at the atomic level, where particle bodies are simultaneously material and immaterial. Einstein famously referred to telepathic and telekinetic phenomena of quantum physics as “spooky action at a distance.” Unlike medical telepathology microscopes, the AFM does not work with optical magnification; instead, it uses a physical probe to touch and even gently etch the surface of nanoparticles in order to map and visualize them using digital algorithms. Thus, AFM extends from medical telepathology’s genealogy of microscope technology, working at a distance through digital mediation (tele) of touch/feeling (pathy) as a kind of touch-based digital telepathology. As mentioned, Motti’s Psy Room works with psychoanalysis, crowds, and politics, which can be elaborated on as it relates to the telepathy of herd behavior. It uses telepathy as a revolutionary intensification force similar to that described by Jean Jacques Lebel in his text On the Necessity of Violation, a May 1968 manifesto for artistic and revolutionary European happenings. Motti’s LHC-walking work slows down the constantly accelerated mining of quantum forces, almost but not quite placing the artist’s body on the gears of the machine. Accelerationism, currently undergoing a revival thanks to Nick Land appreciators associated with speculative materialism, has its roots in one of Marx’s more problematic solutions to capitalism – namely, to drive the individualism of capitalism so hard and fast that it collapses faster. A more recent confrontation with accelerated capitalism through crowd contagion appeared in the form of the Occupy movement. According to McKenzie Wark,  the movement resulted in an abstract embodiment of global ‘telesthesia,’ a concept inseparable from telepathy, with more of an emphasis on thesis as theory, rather than the affect, sensation, or pain of ‘-pathy’. This Occupy telesthesia reacted against the animal spirits of the charging stock market bull and worked to extend the radical telepathy attested to by Lebel’s treatise, the action at a distance observed by Gabriel Tarde and Maurizio Lazzarato, and the savage telepathy in crowds observed by Marcel Mauss. 1968 was not only the moment when a number of conceptual artists created important works with telepathy, such as Robert Barry and Susan Hiller, but also when the society of control truly began working with modulations of action at a distance through media and cognitive capitalism. The Simondonian and trickster ‘dividual’ figure of Motti in the LHC is capable of transforming into a quantum telepathic swarm in Psy Room as an individualized crowd of many. Motti’s trickster approach to quasi-mystical mischief brings the persistent mysteries of crowd telepathy and quantum physics into close alignment with the psychosocial ‘molecular revolution’ as understood by Deleuze and Guattari, which combines psychiatry and politics with transversal aesthetics. The following section continues to explore Deleuzian molecular aesthetics through a discussion of Operaist/activist cognitive immateriality, with a connection to the speculative aesthetics of quantum neurodynamics. Figure 3. Gianni Motti, "Higgs" à la recherche de l'anti-Motti, CERN, Geneva, 2005. 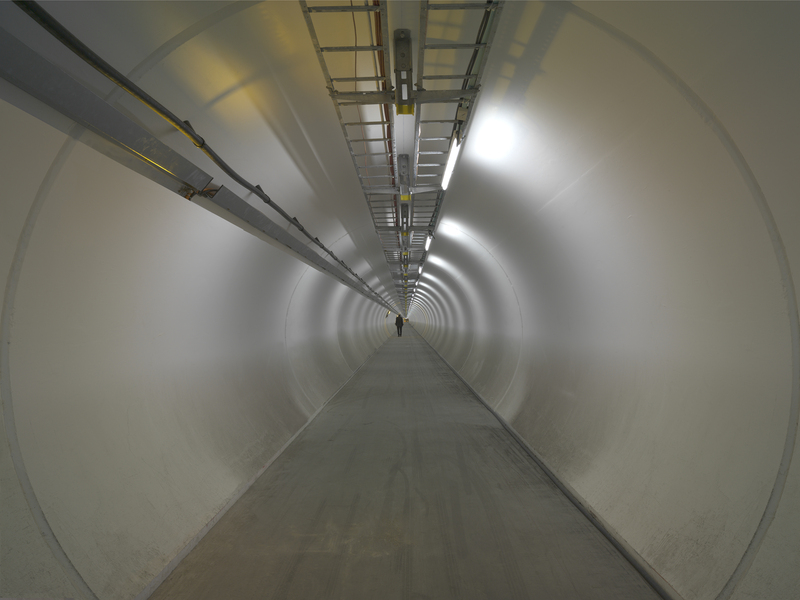 Video, 5:50 minute, performance 5:50 min, walk in the underground LHC tunnel (particle accelerator), 27 km. © Gianni Motti and Gallerie Perrotin, 2016. Used with permission. Figure 4. Warren Neidich, Duende Drawing, 2014-2015. Wall Drawing, 9 feet x 12 feet. © Warren Neidich, 2016. Used with permission. Figure 5. Warren Neidich, Duende Drawing (Detail), 2014-2015. Wall Drawing, 9 feet x 12 feet. © Warren Neidich, 2016. Used with permission. Maurizio Lazzarato’s operaist theories of action at a distance operating in societies of control are central to much of Neidich’s thinking about immaterial labor and cognitive capitalism, as well as to Neidich’s collaborative peers publishing in his Psychopathology of Cognitive Capitalism publications. Lazzarato extends social theorist and criminologist Gabriel Tarde’s theories of telepathy of society and crowds, very similar to those of Le Bon and Mauss, mentioned above. Whilst the brain has multiple specific modalities for processing sense data, it then perceives these data in a unified way. Immanuel Kant’s ‘transcendental conditioning’ anticipated contemporary cognitive science’s interest in cognitive binding, which is shared with quantum physicists’ interest in the entanglement of various wavelengths with the objects and immaterialities of the world. Kant’s ‘transcendental aesthetic’ and his concept of intuition are supported by relativity theory, as well as the quantum neurodynamic hypothesis—just recently proven—that the brain can support quantum coherence in microtubules despite being “warm, wet and noisy.”  Quantum coherence, thought to be too delicate to be observed outside of the cold temperatures of controlled labs, is also being found in the warm quantum coherence of plant photosynthesis, bird-brain navigation, and the human sense of smell. Speculative aesthetics of cognitive and quantum immateriality are engaged with materially through science and philosophy, as well as through art. Artistic work with telepathy and telekinesis is significant both in and beyond the art-science interface, and it sustains a critical dialogue with speculative materialist and cognitive materialist philosophies in which telepathy and action at a distance are key to understanding causality, aesthetics, and immaterial labor. Telepathy and telekinesis have now been shown to be at work in art and theory through integral and material engagement with quantum, cognitive, and media aesthetics. The work of artists who mobilize telepathy and action at a distance (telekinesis) involves transversal and molecular aesthetics associated with psychological and political complexities. This paper finds that artists and theorists of telepathy and telekinesis are redistributing the sensible, and that they are aligned with—and yet displacing—modernist notions of brain intuition found in the Kantian transcendental aesthetic. LIVE from the NYPL: Antonio Damasio and Marina Abramovic, November 13, 2010,http://www.nypl.org/events/programs/2010/11/12/antonio-damasio-marinia-abromovic (accessed October 15, 2014). Johan Pijnappel and Marina Abramović, “Marina Abramović, Biography by Johan Pijnappel, Interview Amsterdam,” in Art Meets Science and Spirituality in a Changing Economy: From Competition to Compassion, eds. Louwrien Wijers and Johan Pijnappel (London: Academy Editions, 1990), 54-63. Suzanne Dikker and Liina Pylkkänen, “Predicting Language: MEG Evidence for Lexical Preactivation,” Brain & Language 127 (2013): 55-64. Suzanne Dikker and Matthias Oostrik, “Measuring the Magic of Mutual Gaze,” in “Gallery Artists,” Leonardo 47, no. 5 (2014): 429-435, 431. Aviva Hope Rutkin, “Marina Abramović Wants You to Drive with Your Mind,” in The Raptor Lab, August 1, 2013, http://theraptorlab.wordpress.com/2013/08/01/marina-Abramović-wants-you-to-drive-with-your-mind/ (accessed December 9, 2013). Marina Abramovic Institute, Kickstarter, 2013, https://www.kickstarter.com/projects/maihudson/marina-abramovic-institute-the-founders/description (accessed April 5, 2015). Charles Green, The Third Hand: Collaboration in Art from Conceptualism to Post-modernism (Minneapolis and London: University of Minnesota Press), 169. Jacquelene Drinkall, “Politics of Telepathic Collaborations: The 60’s, the 80’s and Now,” (paper presentation at Collaborations in Modern and Postmodern Visual Art, hosted by Social and Aesthetics Research Centre (SARU), School of English and Communications and Performance Studies, Arts Faculty, Monash University. Presented at Monash Conference Centre, September 30-October, 2010). Podcast available:http://podbay.fm/show/390323811/e/1285905601. David Sylvester and Gilbert and George [Gilbert and George in interview with David Sylvester]. “I Tell You Where There's Irony In Our Work: Nowhere, Nowhere, Nowhere,” Modern Painters (Winter 1997): 18-25. Suzanne Dikker, Lauren J. Silbert, Uri Hasson, and Jason D. Zevin, “On the Same Wavelength: Predictable Language Enhances Speaker-Listener Brain-to-Brain Synchrony in Posterior Superior Temporal Gyrus,” The Journal of Neuroscience 34, no. 18 (30 April 2014): 6267-6272. Maryam Zaringhalam interviews Suzanne Dikker, “on the same wavelength,” ArtLab, http://thisisartlab.com/tag/suzanne-dikker/ (accessed April 3, 2015). Luciana Parisi and Steve Goodman, “The Affect of Nanoterror,” Culture Machine 7 (2005) http://www.culturemachine.net/index.php/cm/article/viewArticle/29/36(accessed May 30, 2014). Paul Thomas, Nano Art. The Immateriality of Art (Bristol and Chicago: Intellect, 2013), 24-25. Charles Wolfe, “Cultured Brains and the Production of Subjectivity: The Politics of Affect(s) as an Unfinished Project,” in The Psychopathologies of Cognitive Capitalism Part Two, ed. Warren Neidich (Berlin: Archive Books, 2014), 245-274, 249-50. Sky Ear, http://www.haque.co.uk/skyear/information.html (accessed April 23, 2014). Jennifer Gabrys, “Telepathically Urban,” in Circulation and the City: Essays on Urban Culture, eds. Alexandra Boutros and Will Straw (Montreal: McGill-Queen's University Press, 2010), 48-63. Available online: http://research.gold.ac.uk/4544/1/Gabrys_Telepathically_Urban.pdf. Gabrys refers to Roger Luckhurst’s book The Invention of Telepathy. John Durham Peters, Speaking into the Air: A History of the Idea of Communication(Chicago, IL: The University of Chicago Press, 2000). Franco Bifo Beradri [sic Berardi], “ZaUM and Technomaya,” ZaUM and Technomaya, http://www.sciy.org/2011/12/17/zaum-and-technomaya-by-franco-beradri/ (accessed May 30), 2012. Also published in Franco Bifo Berardi, After the Future(Edinburgh: AK Press, 2011). Gabrys refers to art historians Linda Dalrymple Henderson’s and Douglas Kahn’s work on futurist engagement with electromagnetism and telepathy. Luciana Parisi and Stamia Portanova, “Soft Thought (in architecture and choreography),” Computational Culture (November, 2011), http://computationalculture.net/article/soft-thought (accessed May14, 2013). Parisi/Portanova conclude that pre-emptive power exists within algorithmic soft thought, but that this pre-emptive power of soft though is contained autonomously within-itself. Parisi/Portanova express wonder at the complicated nature of very specific number-code to number-code communication of algorithmic computation, in contrast to the Parisi/Goodman text that overtly identifies the emotional affect generated by telepathic nanosoldiers as invasive state sanctioned fear. Different telepathies attach not just to different technologies, but to different affects their medias generate. Jacquelene Drinkall, “Politics of Telepathic Collaborations: The 60’s, the 80’s and Now.” Jacquelene Drinkall, “Human and non-human telepathic collaborations from Fluxus to Now,” COLLOQUY text theory critique 22 (2011) www.arts.monash.edu.au/ecps/colloquy/journal/issue022/drinkall.pdf. Timothy Morton, Realist Magic: Objects, Ontology, Causality (Creative Commons Online: Open Humanities Press, 2013), 34, 67, 172, http://hdl.handle.net/2027/spo.13106496.0001.001 (accessed 17 January, 2014). Timothy Morton, “Here Comes Everything: The Promise of Object-Oriented Ontology,” Qui Parle 19, 2 (Spring/Summer 2011): 163-190, 177, 180. Karen Barad, “Nature’s Queer Performativity,” Qui Parle 19, no. 2 (Spring/Summer 2011): 121-158, 125. Jean-Jacques Lebel, “On The Necessity of Violation,” The Drama Review: TDR 13, no. 1, (Autumn, 1968): 89-105. McKenzie Wark, Telethesia: Communication, Culture and Class (Malden, MA: Polity Press, 2013). I developed a closely related text exploring telepathy and psychopathologies of cognitive capitalism for a forthcoming book, Psychopathologies of Cognitive Capitalism Part Three. Warren Neidich, “Neuropower: Art in the Age of Cognitive Capitalism,” in Psychopathologies of Cognitive Capitalism: Part One, eds. Arne de Boevre and Warren Neidich (Berlin: Archive Books, 2013), 223. Marcello Tari and Illaria Vanni, “On the Life and Deeds of San Precario, Patron Saint of Precarious Workers and Lives,” The Fibreculture Journal 5, precarious labour, 2005, http://five.fibreculturejournal.org/fcj-023-on-the-life-and-deeds-of-san-precario-patron-saint-of-precarious-workers-and-lives/ (accessed November 3, 2009). Matteo Pasquinelli, Animal Spirits: A Bestiary of the Commons (Rotterdam: NAi Publishers / Institute of Network Cultures, 2008), 103. Franco Bifo Beradri [sic Berardi], “ZaUM and Technomaya.” Leibniz’s dream of an alphabet of human thought emerged with the boom in global commerce, so that traders might communicate beyond the limits of linguistic difference. Berardi’s telepathy of the virtual and of creative language experimentation feeds back into questions of trade, as does Bruno Latour’s discussion of action-at-a-distance brought by modern powers of colonization, measuring, mapping, mobilization of resources and commodification in his text Action at A Distance in his book Science in Action. David Porush, “Telepathy: Alphabetic Consciousness in the Age of Cyborg Illiteracy,” in Virtual Futures: Cyberotics, Technology and Post-human Pragmatism, eds. Joan Broadhurst Dixon and Eric J. Cassidy (Routledge: London, 1998), 45-64. Warren Neidich, “Telepathy, The Next Frontier”, emailed word document to author of unpublished draft work-in-progress of proposed collaborative paper, August 23, 2013. Stanislas Dehaene, “Evolution of Human Cortical Circuits for Reading and Arithmetic: The ‘Neuronal Recycling’ Hypothesis,” online paper, pre-publication version, published in From Monkey Brain to Human Brain, ed. Stanislau Dehaene et al. (Cambridge, Massachusetts: MIT Press, 2004) http://peterdanpsychology.ro/ro/pagina/25/files/docs/DehaeneFyssenChapterPre-emption2004b.pdf (accessed August 3, 2013). Gratefully sent to me by Warren Neidich with other texts on material engagement of extended cognition. Maurizio Lazzarato, “The Concepts of Life and the Living in the Societies of Control,” in Deleuze and the Social, eds. Martin Fugslang and Bent Meier Sorensen (Edinburgh: Edinburgh University Press, 2006), 180. See also Warren Neidich, “From Noopower to Neuropower: How Mind Becomes Matter,” in Cognitive Architecture. From Biopolitics to Noopolitics. Architecture & Mind in the Age of Communication and Information, eds. Deborah Hauptman and Warren Neidich (Rotterdam: Delft School of Design Series on Architecture and Urbanism, 2010), 539-81. Lisa Blackman, Immaterial Bodies: Affect, Embodiment, Mediation (London: Sage, 2012). Nigel Thrift, Introduction to Cognitive Capitalism, by Yann Moulier Boutang, translated by Ed Emery (Cambridge: Polity Press, 2011), viii. Sven-Olov Wallenstein, “Noopolitics, Life and Architecture,” in Cognitive Architecture. From Biopolitics to Noopolitics. Architecture & Mind in the Age of Communication and Information, eds. Deborah Hauptman and Warren Neidich, 47-60 (Rotterdam: Delft School of Design Series on Architecture and Urbanism), 54. 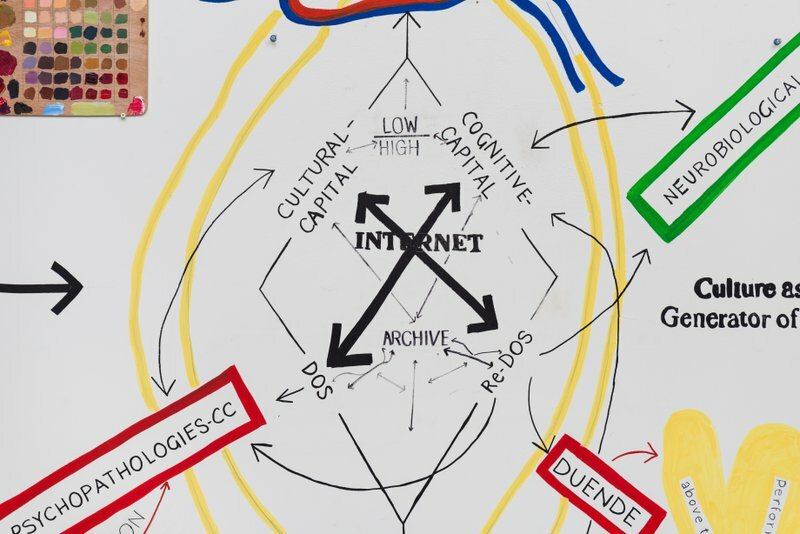 Tiziana Terranova, “Another Life: Social Cooperation and A-organic,” Digithum 12 (2010), http://digithum.uoc.edu/ojs/index.php/digithum/article/view/n12-terranova/n12-terranova-eng. (accessed July 11, 2013). Amara D. Angelica, “Discovery of Quantum Vibrations in Microtubules Inside Brain Neurons Corroborates 20-year-old Theory of Consciousness,” Kurzweil Accelerating Consciousness, News, January 16, 2014, http://www.kurzweilai.net/discovery-of-quantum-vibrations-in-microtubules-inside-brain-neurons-corroborates-controversial-20-year-old-theory-of-consciousness (accessed May 26, 2014). Jacquelene Drinkall, Peter Hill, Gianni Wise, “Aesthetics of Quantum Action At A Distance in Transdisciplinary Art and Theory,” (poster presentation at the Australian Institute of Physics congress The Art of Physics. Presented at Melville Hall, Australian National University, December 7-11, 2014). Baldwinian evolution: The effect of learned behavior on evolutionary gene expression modulation that occurs generationally and trans-generationally; not to be confused with Darwinian evolution, which takes much longer. Cognitive capitalism: The age of the information and network society and knowledge economy. It emerged around 1975 just after societies of control emerged around 1968, and the two are inextricably linked. Epigenesis: In genetics, epigenesis involves gene expression and modification of gene expression. It is not genetic mutation, which takes much longer, but genetic translation and differentiation made in response to environmental conditions, both ‘natural’ and cultural. Noosphere: The sphere of thought and mind analogous to the atmosphere and stratosphere. It is a distinct layer of consciousness emerging from a geosphere and biosphere consisting of a collaboration and interaction of social brains/minds. Neuronal Recycling Hypothesis: Stanislau Dahaene’s explanation of recent human cognitive evolution, especially the reading and writing paradox that cannot be the product of Darwinian evolution. The plasticity of the brain ‘recycles’ existing circuitry of the monkey brain. New cognitive functions invade, and are closely related to preexisting functions. Neurocapitalism: The industry of neural enhancement; for example, drugs for neurological problems, prosthetics for people with neurological disabilities, and a range of technologies for soldiers and workers to enhance neurological capabilities and performance. Quantum telekinesis: Associated with quantum nonlocality, entanglement, field theory, and Bell’s Theorem, and also known as ‘spooky action at a distance,’ ‘action at a distance,’ ‘empathy at a distance,’ ‘passion at a distance,’ and even ironically as ‘fashion at a distance.’ It refers to the uncanny action of atomic particles. Soft-thought: Intelligence, internal logic, and comprehension of digital algorithms that affects design, especially in architecture. Speculative materialism: A term referring to the current speculative turn in contemporary philosophy and continental materialism closely associated and synonymous with the realist metaphysics of speculative realism. Tele-technologies: Technologies of distance; for example, telecommunications, television, radio, Skype, satellite communications. Techlepathy: At the extreme, this refers to synthetic telepathy or ‘psychotronics’ associated with psychic warfare and ‘extreme tech’ telepathies that resemble telepathy chips and exotic, experimental forms of military mind-control devices; however, it can also be used to refer to gentler forms of technologically mediated telepathy or the technology of telepathy itself, such as language. Telemetrics: Automatic measurements that are remotely transmitted. Transference: In this paper I primarily refer to the therapeutic psychoanalytic process known as ‘transference’ that occurs between patient and analyst. Freud considered transference to be inseparable from telepathy. It can also refer to the transformative transmission of energies such as electricity. UNSW Art & Design, Aesthetics After Finitude, Gianni Wise, Tom Apperley, Warren Neidich, Warren Armstrong, Laura Lotti, Laura Fischer, Suzanne Dikker, Allison Brainard, Malory Roark at Sean Kelley Gallery, Marina Abramović, Lara Blanchy at Galerie Perrotin, Gianni Motti, Susan at Haque Design + Research, Usman Haque, Vicki Sowry, Dot and Pete, DART Sponsorship, Gosford City Council, my many very kind and generous crowdfunders, Hilal Atici and Mehmet, friends and colleagues at the TIC Cloud and Molecular Aesthetics conference. Jacquelene Drinkall is a research-driven artist, performer, writer, curator, thinker, and para-academic. She holds a BA in Visual Art H1 University Medal (Painting), a Masters by Research in Visual Art (Painting), and a PhD in Art History and Theory. She is recipient of two awards each from the COFA Student Association, AGNSW, and NAVA, as well as an APA and the Marten Bequest Traveling Art Scholarship in Painting, and more. She recently received a DART Sponsorship to attend the conference where this paper was first presented. She investigates and pioneers the discipline of integral telepathy in art, science, society, and aesthetics, and is currently focused on new materialisms in speculative and cognitive philosophy, affect theory, and immaterial labor. She has pioneered focused attention on working with telepathy in art for over twenty years, since studying with Marina Abramović and Krzysztof Wodiczko in Paris whilst on an Australian National University Telecom Traveling Art Scholarship. Her art practice involves painting, real and virtual world performance and interactions, kinetics, audio, video, photomedia, EEG interaction, drawing, weaving with telecommunications wire, performative objects, sculpture, and installation, and she also works collaboratively on occasion. She exhibits regularly in Australia and internationally.